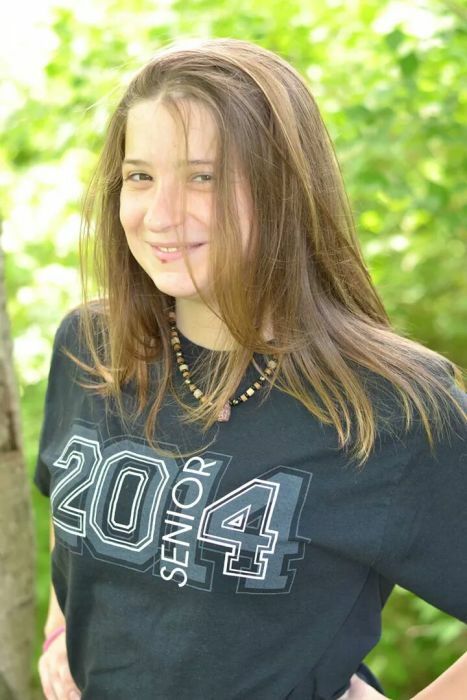 Stephanie Nickole Wilmoth, age 24 of Georgetown, Ohio died Tuesday, December 4, 2018 in Georgetown, Ohio. Stephanie was born September 29, 1994 in Georgetown, Ohio the daughter of Kevin and Tricia (Adamson) Wilmoth. She was preceded in death by her sister – Brittany Ann Perkins. Stephanie is survived by her parents – Kevin and Tricia (Adamson) Wilmoth of Georgetown, Ohio; maternal grandmother – Corinne Adamson of Georgetown, Ohio; paternal grandmother – Mary Wilmoth of Sardinia, Ohio; one niece – Jadyen Dooley (Little Nugget) of Georgetown, Ohio; uncles and aunts – Jon and Julie Adamson of Loveland, Ohio, Sherry Adamson of Georgetown, Ohio, Vickie and Scott Carrozza of Hillsboro, Ohio and Eugene and Lois Wilmoth of Pittsburgh, Pennsylvania; several cousins and pet dog – Pugsley Michael Adam. Funeral services will be held at 1:00 P.M. Tuesday, December 11, 2018 at the Cahall Funeral Home in Georgetown, Ohio. Visitation will be from 10:00 A.M. – 1:00 P.M. Tuesday. Interment will be in the Peace Lutheran Cemetery in Arnheim, Ohio.